This article is reprinted with permission from the latest issue of the SLD newsletter, SlavFile. You can find the current issue and an archive back to 1999 at http://www.ata-divisions.org/SLD/slavfile/. You would think that after decades of attempting to scrupulously identify and combat the Internet’s oldest hustle, namely email scams, there`d be a fix for them by now. Alas, there is not. Internet access, social media, and the convenience and anonymity of email, along with the capability these provide for easily contacting thousands of people at once, enables scammers to work in volume. Although translators are generally aware of scams these days, even experienced, savvy translators get duped on occasion. The fraudsters continually refine their techniques and expand their targets, so it is crucial to stay alert. This article describes some of the many email-based scams targeting translators (and often other types of freelancers as well). We hope this information will help you to better recognize potential traps and avoid them. The Federal Trade Commission (https://www.ftc.gov) is a great resource for further information on new and “recycled” scams and how to avoid cybercriminals. Many scams fall into a few broad categories, described below. This type of scam is also known as the Nigerian Prince scam, the Spanish Prisoner scam, the black money scam, Fifo’s Fraud, and the Detroit-Buffalo scam. These schemes are quite elaborate and, despite their somewhat preposterous appearance, they manage to hook a surprising number of victims. The classic 419 advance fee scam attempts to entice the victim into a bogus plot to acquire and split a large sum of cash. The translator variant of this scheme is usually one in which a translator is asked to perform a translation, paid in advance for the work, and then asked to refund an accidental overpayment. 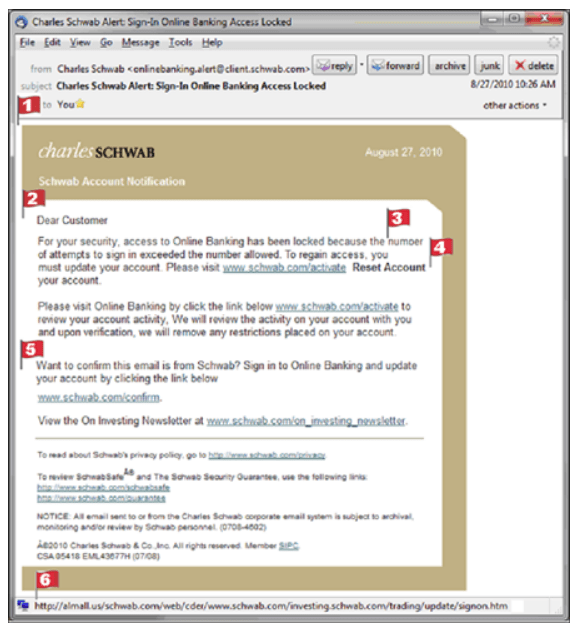 Phishing emails have been crafted to look as if they were sent from a legitimate organization, when in fact they aim to fool you into visiting a bogus website where you inadvertently download malware (viruses and other software intended to compromise your computer) or reveal sensitive personal or account information. Phishing emails usually contain a link that appears to take you to a legitimate company`s website to fill in your information, but the website is a clever fake and the information you provide goes straight to the crooks behind the scam. Subscription scammers approach translators (and other freelancers) with the promise of well-paying work, but they want you to pay for the leads or subscribe to their services for a fee. All they want is your money, not your skills. You might as well throw your money away. In this scenario, fraudsters pluck a translator’s resume from a website such as www.proz.com, set up an e-mail account in the translator’s name, and send (often poorly crafted) e-mails posing as the professional translator and soliciting work. It is unclear how exactly this profits them, although they might get paid; but certainly it damages your reputation. SlavFile editor Jen Guernsey warns of another scam in which the scammer impersonates a legitimate company. If a new company contacts you be sure to look closely at the website and domain name. 1 and 2. The email is not addressed to the recipient by name. Here, the addressee is “you” and “Dear customer.” Either the fraudsters don`t know your name, or they are using a template and not bothering to customize it. 3. The email doesn’t make sense. In this instance, it might reference an account that you never created. Or it states that you have exceeded the number of login attempts allowed, when you haven’t even been trying to sign in to that account. 4. The email contains a surprising number of grammatical or spelling errors, even though it ostensibly comes from a professional entity such as a bank or a translation company. 5. The email encourages you to confirm that the email is legitimate by clicking on a link provided in the email itself. 6. The email contains a link to a site or an email address that does not match the text of the link. To see the link destination, simply hover your cursor over the website link (without clicking), or click on the email address link, and you will see that the website or email address does not match the email originator or the purported destination. In this example, you can see the true link address displayed along the bottom of the screen. 1.How much would you charge per page, word or for the entire translation? 3. Preferred mode of payment, though I would like to propose cashier’s check or bank certified check and do not hesitate to confirm if this is okay by you. Project deadline is 1 month starting from 12/20/2017. What are the warning signs here? 2. Grammar, style, and register are all off. 3. If a “client” found your info somewhere online, he or she would already know your language combination(s). No legitimate client reaches out to a translator without specifying the required language pair. The following recommendations can minimize your chances of falling victim of an email scam. Configure your email client for security. 2. Never share your banking information with somebody you don’t know. If your overseas clients insist on paying you via wire transfer, or this is your preferred method of payment for overseas clients, you may set up a separate secondary account in your or any bank which you would use only for wire transfers for your overseas clients and transfer the money to your regular bank account right after the transaction. This is a great way to safeguard your regular account in case your bank info is hacked. 3. Ask as many questions as you can. If a “client” tells you that she has a 30-page article to translate, ask for the subject, style, details, background, and the like. A legitimate client will be able to give you all of this information in a blink, whereas a scammer will avoid the answers or will give you answers that seem off or simply don’t make sense. 4. Be suspicious if an email says that they found you on https://www.atanet.org/, for example. People generally make reference to institutions, not domains. 5. If you receive a link to a site or a downloadable file from a known colleague but your colleague has not communicated with you in advance and/or you don’t know why you’re receiving the link, do not click on it. Instead, contact your colleague and ask him or her about the matter. Do NOT respond directly to the email. Create a new email, or better yet, call. 6. Use your own link. If you receive a message supposedly from a legitimate company, go to its site directly from the web using any search engine but not through the email you received . This is the ONLY way to guarantee that you land on the legitimate site of a known company. 7. Hover before you click. Whenever you receive an unsolicited email asking you to “click here,” beware – even if it sounds like a legitimate company. The same goes for social networking links that take you to what appear to be login pages. These may in fact be sites designed to steal your information. 8. Google the named company or individual. Try keying in their name as well as an excerpt from the message text. Crooks often use the same wording and names for multiple translation scam attempts. 9. Ask for an advance fee. If the job is large, ask to be paid in installments and ask for a retainer. If at any stage the “client” suggests they’ve overpaid and asks you to wire back part of the payment, don’t! It’s a scam. Do not begin working until the payment fully clears. Be prepared to pay a bank fee if the check is fake. 10. Set up a PayPal or Square account, or any alternative thereof, (https://www.merchantmaverick.com/top-7-square-alternatives/) to be able to take a full or partial payment in advance from a new or unknown client that you find suspicious. 11. Pay no commissions or subscription fees. Translation is a large, fast-growing field, so you shouldn`t have to pay to get work. Try to be creative in finding your own clients. Lesson 61: How to protect your translator CV from scammers? Olga Shostachuk is a PhD Candidate in Translation Studies at Kent State University, Kent, OH, where she previously completed her M.A. in Translation degree. She also holds an M.A. in Education and Linguistics from Lviv National University in Ukraine and a paralegal degree from the Academy of Court Reporting in Cleveland, Ohio. Ms. Shostachuk served as the Vice Chapter Chair for Ohio IMIA and currently is a Ukrainian editor for SlavFile, the newsletter of Slavic Languages Division of the ATA. She is also a Ukrainian into English grader for the ATA certification exam. Her research focuses on legal and medical translation, computer-assisted translation, psycholinguistics, localization, pedagogy, and assessment. She can be reached at olgalviv27@yahoo.com. The ATA 60th Annual Conference takes place October 23-26, 2019, in Palm Springs, California. Whatever your role in the T&I Industry, ATA60 is the place where dedicated professionals come together to expand their knowledge and their network. The 2019 season continues on the SLD Podcast with Alaina Brandt, a business owner, Spanish-to-English translator, and expert on project management and processes. Ekaterina and Veronika chat with Alaina about best practices in project management, sources of communication failure, and the state of localization training in the US. Listen now on Soundcloud, iTunes, or Google Play, and be sure to subscribe so you never miss an episode! The American Translators Association is accepting presentation proposals for the ATA 60th Annual Conference in Palm Springs, California, October 23-26, 2019. Proposals must be received by March 1, 2019. Hello everyone! The deadline for submitting a proposal for a conference presentation is March 1. Presenting at a conference – whether as a solo act, with a colleague, or as part of a panel or a translation slam – is a fun way to get your name and face out there, connect with your colleagues, and support our conference, which relies on us members to provide nearly all of the sessions on offer. Jen Guernsey would be happy to provide you with information, suggestions, and help in getting your proposal submitted. Thanks, and see you in Palm Springs! Apply to Speak at ATA60! The ATA has put out its call for speakers for the 60th Annual Conference in Palm Springs, CA. Details on proposal requirements and perks can be found here. The SLD encourages anyone with an idea for a session to apply. Our members have expressed specific interest in sessions focusing on the day-to-day practice of interpreting, including cultural expectations, as well as deeper dives into specialized fields and the linguistic aspects of translating, but other topics are always welcome! Keep in mind that the SLD is limited to 6 slots (of which 2 are reserved for the Distinguished Speaker), so we encourage potential speakers to consider submitting sessions overlapping with other topics and divisions (such as interpreting, literary, T&I education or technology, etc.). We look forward to seeing you at the conference in October! Happy New Year! If one of your professional New Year’s resolutions was to do more continuing education in the coming year and you are a legal translator or interpreter, the ATA has just the opportunity for you. It will be hosting a full-day law seminar in Jersey City on February 16, with morning and afternoon sessions divided between translation and interpreting. ATA-certified attendees can earn 7 CEPs! The schedule, session descriptions, and hotel and registration information can be found here: https://www.atanet.org/events/law_jerseycity.php. Haven’t we all, at some point or another, had to deal with a client best described as “opinionated”? Or noticed that our language skills needed a bit of brushing up? So it should come as no surprise that Joy Burrough-Boenisch’s unambiguously titled session was packed, including by plenty of people who didn’t know Dutch. Joy, a British expat permanently residing in the Netherlands, set the stage with some important context: the Dutch have some of the highest English proficiency levels in the world among non-native speakers. Translators working in this environment find themselves constantly having to justify their translation choices—or discovering after the fact that their translations were subjected to “disimprovement” without their knowledge by clients overconfident in their own English skills. At the far timid end of the spectrum, you can follow the “client is always right” mantra and let it go, especially if your name is not explicitly associated with the translation. At the other extreme, if a client is being particularly intransigent, drop them! One of Joy’s colleagues blacklisted an entire Dutch government ministry as a client for some particularly egregious edits and accompanying disrespectful treatment. There is, of course, a middle ground, mostly centered around tactfully voicing your objections, whether during the editing process or after the fact, respected authorities in hand to justify your objections. View the time spent justifying your version as an investment in your professional reputation. Speaking of professionalism, take a moment to step back and ask yourself if maybe the client is actually right. Do your research and be willing to admit it if you were wrong. Reiterate your advice against the changes in every communication, and if changes are made without your knowledge or against your advice, get it in writing that it was not your responsibility. In matters of law, it becomes particularly important to request a written statement that unauthorized changes were made. When it came to resources to cite, Joy came out as a strong proponent of corpora, such as COCA (Corpus of Contemporary American English). In addition to researching the frequency of certain collocations across the language as a whole, they can be used to determine the register of a particular word or phrase. Corpora also featured prominently in the first section of the talk, which covered language attrition, a particularly salient problem for expats like Joy, who work in a country where they are surrounded by a foreign language (and often by a lot of foreign-inflected English). Over time, this exposure begins to interfere with their native-speaker intuition for how English should sound. The first signs of trouble will show up in mixed-up prepositions and false friends, but language interference is at its most insidious where it affects style and rhetoric. Different languages prefer sentences of different lengths and different argumentation styles (do you state your conclusion first, then support it, or do you lead the reader gradually to your main point? ), and these standards are so ingrained that we can barely articulate them, let alone notice when they start to slip. Joy’s recommended treatment for language attrition is reading up on contrastive grammar and—you guessed it—making good use of corpora to check yourself on prepositions, word frequencies, and appropriateness for the specific text type. I would add that these approaches are also worthwhile for those of us not living abroad: if I spend long enough staring at a Russian source text, or worse, editing non-native translations from Russian, eventually I notice language interference rearing its ugly head as well. Listening to Joy’s engaging talk inspired me and gave me the tools to fight off language interference and remain professional in the face of client feedback. Eugenia Tietz-Sokolskaya is an ATA-certified Russian to English translator specializing in legal and financial texts. She has a Master’s in Translation from Kent State (2016) and has been working freelance since graduating. She can be found at eugenia@sokolskayatranslations.com and www.sokolskayatranslations.com. As a literary translator, I couldn’t help but gravitate towards literary sessions. When I read the title of this one, “Publishing Literature in Translation: How Translators Help AmazonCrossing Bring Stories to New Readers by Page-Fort Gabriella,” I scratched by head – what is AmazonCrossing? I didn’t bother to look it up but went straight to the room. It took me a while to start making sense of Gabriella’s multiple references to book sales statistics, but after a while I got the hang of it. AmazonCrossing is actively searching for great international reads for a global English-speaking audience. Basically, if you know of a book in a language other than English and feel it would really appeal to the English-speaking world, you go to the AmazonCrossing website, https://translation.amazon.com/submissions, and propose it. They are constantly looking for interesting titles, and their list of translated books is very diverse. Gabriella shared several intriguing stories of how they hunted for books to translate, including an example of how they got connected with an elderly Uzbek author who wrote a wonderful story but couldn’t even use email. She emphasized that as an editorial director she can never tell which story will grab her attention. They are looking for stories regardless of the source language and genre – the main idea is for it to be appealing. Turns out AmazonCrossing is the biggest producer of translated literature in the US market. Gabriella’s talk was very inspiring, so I immediately had several titles pop up in my head, and I proposed one. We’ll see. I didn’t realize you could actually go to their website and register as a literary translator. You could also upload your resume, and if they have a matching job, they will contact you. If you are interested in the field, it’s a great opportunity to get your foot in the door. Much of the session was devoted to the discussion of what makes for a good story. One may find a story fascinating, but when it’s published it doesn’t necessarily get traction. In Gabriella’s words, you don’t really know. You pick a book based on your gut instinct, but who knows if the readers’ gut will have the same instinct? Though it’s often hit and miss, the success of the endeavor is obvious, with 62 new titles translated just in 2017. Even though, according to Gabriella, Americans don’t read translations very much – for whatever reason – AmazonCrossing stands out from among the other 13 imprints of Amazon Publishing, translating into English from a wide variety of languages: Danish, Hebrew, Norwegian, Polish, Portuguese, Russian, Turkish, Indonesian, Italian, Swedish, Finnish, French, Chinese, Spanish, and German. After the session, I had lots of questions for Gabriella, but, unfortunately, there was a line of people vying for her attention. The main question I had was: what are some of the characteristics of the kind of literature that would be equally appealing across cultures? For instance, “The Karamazov Brothers” is appealing to all cultures, but I know other great Russian titles which do not have the same international appeal. So, do you know a title that you think would be interesting for the English readership? Let Gabriella know. I wanted to review this session because I have a liberal arts background and have translated a few patents myself. While I have some knowledge of engineering and manufacturing terminology from previous work, I found patent translation daunting and I hoped to come away from this presentation with a few helpful resources. The presentation was based on the premise that liberal arts majors, while not a natural fit for translation of scientific work, can still become good patent translators. The speakers discussed their experiences working with translators educated in liberal arts and how they helped them to deliver high quality patent translations. They also pointed out that sometimes a translator’s lack of scientific training actually helped because it meant they did not have preconceived notions about the subject matter and were able to look at the matter objectively. Since patents are produced for new ideas, someone without hardened ideas about subjects can be a valuable asset. In addition, the speakers stressed that translators with a liberal arts background were well-suited to paying close attention to the language used in patents and to clearly telling what they called the “story” of the patent. They encouraged new translators unfamiliar with the idiosyncracies of patent language to look at other patents in the same field and the same jurisdiction to gain an understanding of how particular terms and turns of phrase are used and get a sense of what is considered normal in patent style. If you want to learn more about translating patents, the speakers suggested starting with the Patent Cooperation Treaty. Finally, because patents must be translated, they are a good source of work for translators. One of the speakers mentioned that Russian was one of the languages where there was always a need for linguists. Karen Yesowich Schmucker is a certified Russian into English Translator in Bellevue, WA. Karen holds both an MA in Russian Language and Literature from the University of Toronto and a BFA in Graphic Design from the Academy of Art University, San Francisco. You can reach her at karen@kysdesigns.com (www.kysdesigns.com).